Vincent Freeman (Ethan Hawke) is an “in-valid,” a member of the naturally conceived underclass, who gets ahead in the world by purchasing a “valid” identity from Jerome Eugene Morrow (Jude Law), a superachiever who lost his social privileges when a car accident crippled him for life. Vincent gets a job as a space navigator and is days away from taking off on his first mission when one of his bosses is murdered. The police come looking for clues, and there they zero in on traces of his DNA. Gattaca is not so much a story about the perils of cloning as it is a tone poem on life lived in an oppressive society, where one is judged daily for simply being oneself. 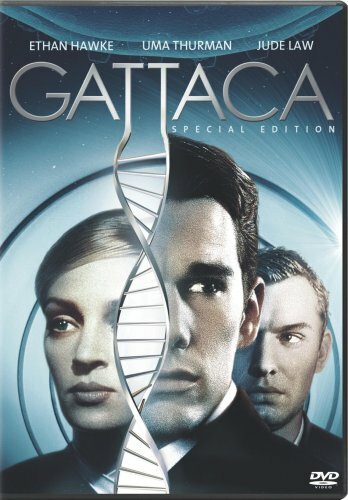 The film has its flaws — the murder mystery is not all that mysterious, and the ending is almost disturbingly pat — but, then again, Gattaca is all about accepting our shortcomings and transcending them, and that is a task the film achieves quite admirably.